Have you heard much about the benefits of nuts? If you haven’t then you are lucky that you found this information here today. When dealing with your fitness and healthy, you may take a lot of things for granted. You may eat too much fast food or chow down on the junk food while watching a game. You may not pay attention to your health until there is something wrong. As you get older, you realize that you can’t just eat whatever you want and keep looking great. Now that you are aging a bit, you feel every ache in your body. You realize how much more exhausted you are. If you want to start living again instead of feeling like you are just dragging yourself through the day, thinking about your diet is the place where you are going to begin. There is one group of foods that you should pay special attention to and that is nuts. You may not think of this as a food group but you just don’t have the information yet. There are numerous health benefits of nuts and you can find out more about them today. Don’t forget that nuts help you to live longer too. Alright, so now that you are thinking about your diet, you may think that you need to cut out all the fats from your diet. However, did you know that there are healthy fats. It is true and nuts are going to give you an excellent source of healthy fats. The healthy fats are those that have a ton of Omega-3s in them. The healthy fats bring your bad cholesterol levels down, lower any chance of getting heart disease, allow you to burn many more calories, lift your metabolism and boost your energy a ton as well. Not to mention, the healthy fats in nuts will help your skin and hair to look amazing too. You need dietary fiber and nuts are going to be the best source for you to get that. The dietary fiber is excellent for your digestive system and for your bowels too. In addition, the dietary fiber is going to regulate and lower your bad cholesterol rates. If you usually have difficult digesting your food for any reason, taking in more dietary fiber is going to help you do this easily. You need to make sure you are getting all the healthy benefits and nutrients from the food you eat and the fiber in nuts helps this to happen. 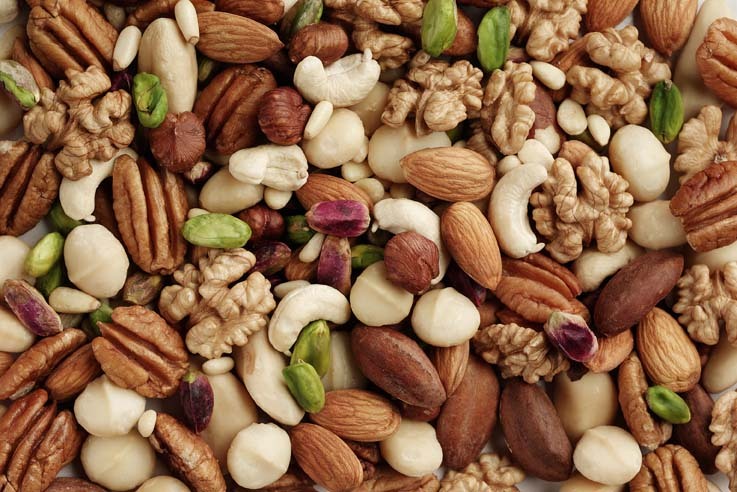 Did you know that nuts are filled with Vitamin E? Don’t choose the nuts that are full of salt; choose the ones that are natural instead. 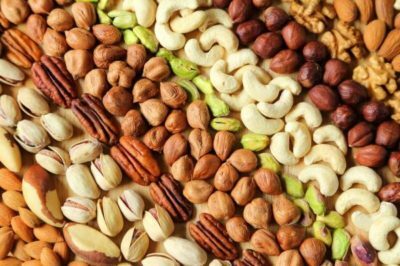 Some of the many natural nuts are peanuts, cashews and almonds. The Vitamin E in nuts is very potent and has an excellent number of antioxidants in it. Vitamin E in nuts is also going to get rid of the toxins and chemicals that are floating around in your body. This helps to prevent mutations of cells and many possible diseases or cancers too. There are numerous benefits of nuts that you may have been missing out on. Make sure you go and get some natural nuts today.